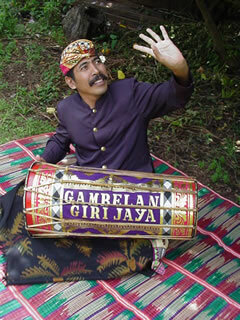 In 2005 the master dancer I Made Djimat was sponsored by RADF to work in Toowoomba for a residency of 5 weeks with Gamelan Giri Jaya as well as Harristown State High School . During this time he helped develop new dance performance pieces with GGJ as well as writing and producing a dance drama performed by Harristown State High School students. In 2000 I Made Suartika worked with the group for a period of ten weeks culminating in the recording of a 4-track CD by the group. His residency was made possible with assistance from the Commonwealth Regional Arts Fund. 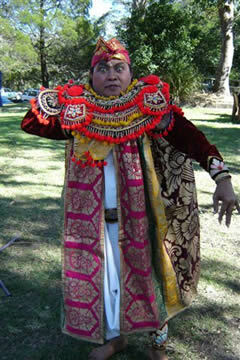 Made returned in 2000/2001 to work and perform with the gamelan at the Woodford Folk Festival with assistance from Arts Queensland & the Regional Arts Development Fund.